“Thank you person who invented the bed,” is something I often say when I lay down at night. I LOVE my sleep. I need at least eight hours per night to feel functional the next day. A former chronic insomniac, I was excited to land the assignment of finding products that are driving the current “better sleep” movement. Let’s take a moment to remember why sleep is so important. 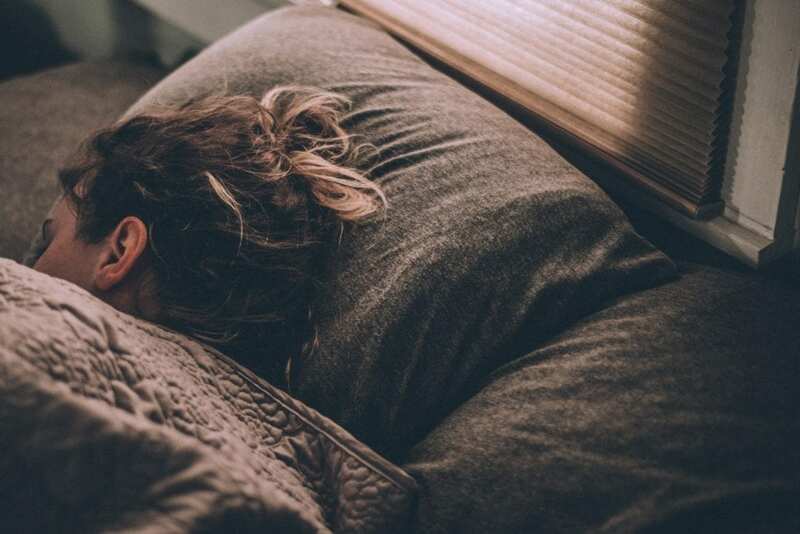 With sleep as a major wellness trend right now, tons of products are popping up to address the desire for “performance sleep.” Whether you’re looking to fall asleep easier or sleep sounder, these products might be able to help. The Sleep Tight remedy may help you fall asleep with a natural blend of aromatic oils, like Sandalwood, Sweet Marjoram, Neroli, and more. It can be applied to temples, wrists and behind the ears before bed or applied to a cotton ball and inhaled. Setting the right ambiance in your living room or bedroom with warmer, sunset-like shades of white light when you are ready to unwind can help support melatonin production and promote better sleep. With a few taps in the Hue app, you can put on the pre-set “Relax” mode as well as schedule your lights to gradually dim over a certain period of time. This will help you unwind and prepare for sleep. Hue also has a ‘Nightlight’ mode that delivers a dim level of amber-reddish light designed to help you navigate your room in the middle of the night, whether to care for a crying child or go to the bathroom, with minimal disruption to your sleep cycle. There will also soon be a Google Assistant voice command to set your sleep and Hue light schedules. The best way to get started is with a Philips Hue starter kit, which comes with four light bulbs and a bridge (the heart of the Hue system, which allows for the app control and customizations). The benefits of CBD are linked to helping ease insomnia and promoting sleep quality that includes the following: stimulates a relaxed state, reduces anxiety, reduces pain that may hinder proper sleep, and may be effective for achieving deep REM sleep. One CBD oil for sleep is HempMeds Real Scientific Hemp Oil (RSHO), one of the first-ever CBD oils on the market. RSHO is pure full-spectrum hemp oil. Unlike isolated or synthetic cannabis, pure hemp oil features all the same cannabinoids present in the original hemp plant, providing an all-natural CBD hemp oil supplement that allows the cannabinoids to work together in what is called the entourage effect. Available in a liquid tincture, oral applicator or capsule, you can decide what works best for you before you hit the pillow. Many people love to put it in their nighttime tea. Warfighter Hemp is a CBD tincture that you take under your tongue. It is manufactured by a company where 50 percent of all proceeds benefit organizations that support veteran independence and was founded by a veteran who saw his fellow veterans combatting PTSD, anxiety, chronic pain – and wanted to do something about it that was not opioid-related. This tincture is produced in the United States from organic hemp grown in Colorado. Paired with the corresponding app, ZEEQ gently vibrates, encouraging the sleeper to change positions, when snoring reaches a preset level. Eight built-in speakers allow the user to listen to their personal music selection, without disturbing their partner. Weighted blankets are touted to help you go to sleep fast and stay asleep longer. Using deep pressure touch, this Baloo weighted blanket eases your nervous system while relieving stress and anxiety and lifting serotonin levels to boost your mood. Baloo uses premium, chemical-free materials and is designed to be 8 to 12 percent of your body weight. SleepPhones features a luxuriously soft headband that contains thin removable speakers to play music, audiobooks, meditation, white noise, or talk radio. SleepPhones are fully padded with nothing sticking into the ears and are so much more comfortable than other headphones out there. There is a Classic version that plugs into virtually any device, as well as a popular Wireless version that connects with any Bluetooth-enabled device. People love to use them as they try to fall asleep—and to block out the noise and stress of travel. Som Sleep is a drug-free non-habit forming sleep drink (and one recommended by our own CEO and Founder Jeana Anderson Cohen). It’s currently used by over 60 teams in the NFL, MLB, and NBA. Moon Milk is essentially warm milk with a mixture of sleep-inducing spices and herbs that are high in high in melatonin. Studies show that tart cherries can improve sleep by 84 minutes. Cheribundi has SLEEP version with added valerian root and lemon balm to help with sleep. Nod2.0 Sleep Upright Travel Pillow is a compact solution for business travelers to get great sleep on the go. Take it with you in your handbag, backpack or briefcase. It’s the size of an iPhone! Nod2.0’s patented design stabilizes the weight of the head by clipping to the rear of the seat back, allowing you to fully rest your head and neck while seated upright. I know, a lot of great options, right? I bought a weighted blanket, after reading this, and I do think it has helped improve the quality of my sleep. I will surely be trying some of the items I listed here. Care to join me? Great piece Ronni! I’m a pretty good sleeper, but I passed it on to my husband! Will keep you posted! i hope he finds at least one thing that helps. sleep is SO important!